Written Test: Candidates are required to qualify TNPSC 2019 Agricultural Officer Paper 1 of 300 marks in a duration of 3 hours and paper 2 of 200 marks in a duration of 2 hours. Oral Test: Candidates also needs to qualify the interview of total 70 marks. Final Selection: Final Selection will be made on the basis of total marks scored in the above 2 tests. For reserved category, marks relaxation will be considered. The selection will be made for the carried forward vacancies. [Section 27 of the Tamil Nadu Government Servants (Conditions of Service) Act, 2016]. Secondly, the selection will be made for regular vacancies following the rule of reservation. Thirdly, the selection against shortfall vacancies will be made from among ST applicants only. 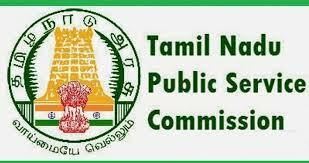 Preliminary Exam: Candidates are required to qualify the TNPSC 2019 preliminary examination which will be conducted for a total of 100 marks in a duration of 2 hours. Mains Exam: Candidates who qualify for the preliminary exam will be eligible for mains exam which will be conducted for a total of 400 marks and the Candidates will be provided 12 hours (3 hours per section) to complete the test. VIVA/VOCE: Candidates who qualify both the written exams will then be appearing for the viva for the final selection process. Training: Once the candidate is selected, he/she has to undergo a training of 12 months. Tests: Every person appointed to the category of Civil Judge by direct recruitment shall, within the period of probation, pass the Account Test for Executive officers. Confirmation: An officiating Civil Judge shall be confirmed by the High Court to be a full member of the Service in the category concerned at the earliest possible opportunity in any substantive vacancy which may exist or arise in the category in which he/she is officiating according to his/her seniority in that category concerned. Probation: Every person appointed shall be on probation for a total period of two years on duty within a continuous period of three years from the date on which he/she joins duty. The pay scale of the selected candidates will be starting from INR 39,900. Under the TNPSC pay scheme (2017), the gross pay is equivalent to the DA(136 percent) and there will be extra allowances and grade pays which will be added to your Basic Salary.